The Guangdong province doctor whose arrest and three-month detention for criticizing a well-known medicinal liquor brand sparked public outrage has been hospitalized with post-traumatic stress disorder following a recent interrogation session. Tan Qindong was admitted to Guangdong General Hospital last week when he began showing symptoms that included insomnia and self-harm after being interrogated at a Guangzhou police station by police from the Inner Mongolia autonomous region on Friday, Tan’s wife, Liu Xuan, told Caixin. One month after Tan wrote a blog post in December calling the widely advertised Hongmao Medicinal Liquor “poison from heaven,” Inner Mongolia police arrested him in his Guangzhou home on suspicion of having damaged the reputation of Hongmao Pharmaceutical, the liquor’s manufacturer. Tan was taken to a detention center in Liangcheng county, Inner Mongolia, home of Hongmao Pharmaceutical’s headquarters. 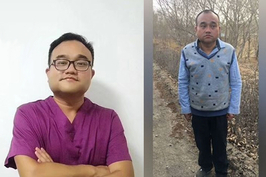 Tan remained at the detention center for nearly 100 days until news of his arrest emerged, prompting anger from social media users and Chinese state media alike over what they perceived to be an abuse of power by Inner Mongolia authorities. Tan was released on bail in mid-April, and his case is still being investigated. After Friday’s interrogation, Tan locked himself in his room, where he cried and began talking to himself and banging his head against the wall, Liu said. Tan, who was still hospitalized when Caixin spoke with Liu, had been in poor condition ever since he returned to Guangdong from Inner Mongolia in April, and had been receiving regular outpatient treatment from psychologists at the hospital, Liu said. 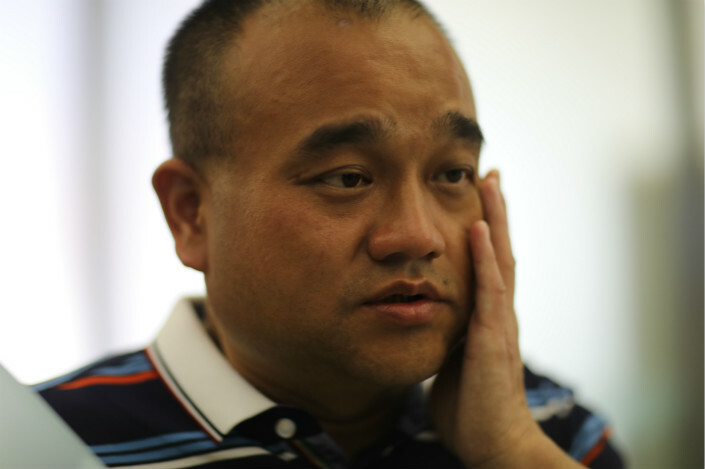 “The doctors have continuously stressed that I should not ask what happened to him,” Liu said. “Remembering the past could further upset him.” Liu said doctors had asked for Tan to be strictly protected from being bothered by the media. Hongmao Medicinal Liquor has been touted across China as a health supplement and cure for ailments as diverse as irregular menstruation and heart disease. Hongmao Pharmaceutical claims the concoction contains dozens of ingredients used in traditional Chinese medicine, including leopard bone. 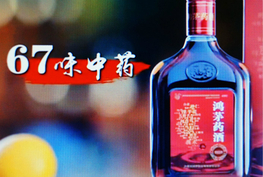 Tan’s original blog post argued that the elderly, who are a major target of Hongmao’s advertising campaigns, should not drink alcohol in any form, and said that some of the medicinal liquor’s ingredients were known to be toxic. In an earlier interview with Caixin, Tan said he did not “regret writing the article and getting arrested as a result,” and that he was not threatened, tortured, or forced to make a confession in any way during his time at the Liangcheng detention center. Hongmao Pharmaceutical, which had previously received multiple false advertising complaints from regional authorities, apologized after Tan’s release for “not seriously studying risks, actively weighing in, dealing with, and responding to the public’s serious concerns,” although it denied that it had actively sought to mislead the public, and stopped short of commenting on Tan’s detention.